Our board and observer group are formed by private and institutional investors, including Northern Ireland Government managed through two investment companies -Clarendon Co-fund and Techstart NI- and Ulster University. Ronnie Geddis is SureCert’s Chair. He is a former Sales and Marketing Director with Consilium Technologies and Totalmobile who has over 25 years experience selling into the Local Government and Healthcare industry. He is a Chartered Director and serves as an Entrepreneur in Residence on the Catalyst Springboard Programme. 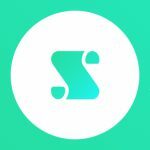 Ian is founder and CEO of SureCert. 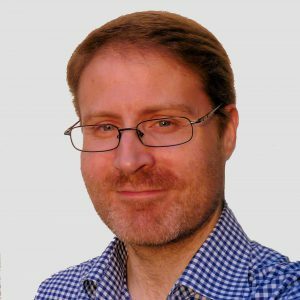 Ian has been working within the digital start-up sector for the last five years and previously worked as a Strategy and Development Consultant with Deloitte and PA Consulting before creating his own consultancy business, CDS Consulting. 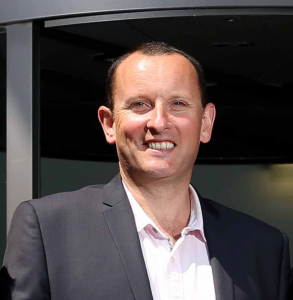 Ian is passionate about the development of private sector businesses and the use of digitised approaches to disrupt traditional markets, in particular, recruitment, background checking and also the use of data. Tom is a 30-year tech veteran and is the driving force behind many of Kainos’ PLC most imaginative and successful customer and staff initiatives, including HealthHackEU, Kainos AICamp, Code4Derry. Tom joined Kainos in 1988 as a Software Engineer and, subsequently took on roles in Support, Pre-Sales and Solution Architecture before being appointed CTO in 2005. 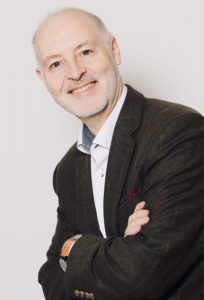 Tom is also Chairman of the University of Ulster Industrial Liaison Board, founder and curator of the annual BelTech conference, sits on the CCEA Regulatory Advisory Panel and is Director of a number of NI startups. Previously, Tom has been Director of Digital Catapult NI, Chairman of IET in NI and a member of the MATRIX Science Panel. Tom graduated from Queen’s University Belfast and holds a BSc. in Computer Science. Fergus Begley is the Start-up Manager for Research & Innovation at the Ulster University. He has a BEng (Hons) in Mechanical Engineering, an MSc in Polymer Science and Engineering and an MSc in Energy Management and Renewable Technology. 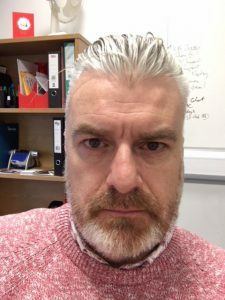 Fergus has over twenty years’ industrial experience in senior positions across design, business development and process engineering roles in the manufacturing, nanotech and healthcare industries. Relevant expertise has also been gained in new product and business development roles for energy companies such as Seagate Technology, B9 Energy and Exus Energy. In addition, Fergus has been trained to Black Belt level in Six Sigma techniques and Green Belt in Lean Manufacturing. Fergus manages a range of technologies from Ulster’s research and has responsibilities for commercialisation of the research output in the form of spin-out companies, forging strong external linkages and working with both graduate and spin in opportunities that align favourably with Ulster’s research themes. Clarendon Fund Managers manages Co-Fund NI on behalf of InvestNI. CoFundNI invests with private investors such as business angels and institutions into eligible SMEs based in Northern Ireland, and provides up to 50% of equity investment alongside 50% from private investors on a deal-by-deal basis. TechStart NI provides support for early-stage technology businesses and university spin-outs through its £17m equity fund, two £1.5m university funds and a £3.6m proof of concept grant fund.